What one instrument would make any rock band better? Saxophone. Recall what it did for Bruce Springsteen when the 'big man joined the band.' (Rest in peace Clarence Clemens.) Germany's Human Zoo stood typical European melodic hard rock by adding a saxophone player from the beginning. They return with their third release, Eyes of the Stranger offering, once more, their signature hard rock accented by Boris Matakovic's fine saxophone. While pointing out the saxophone, be assured Human Zoo pl aye sound melodic hard rock. This is the foundation for all their compositions. This can be more on the AOR side like Eyes of the Stranger or Fall In Love, or a bit stronger and heavier as on The Answer, World Behind You, or Welcome to Paradise. Yet, just as any good hard rock band offers a generous ripping guitar solo within a song, Human Zoo will fire off the same with the sax, and much more. Some songs begin with the woodwind's earnest presence as on Everything Changes or Fall in Love. Nice! However for this huge fan of this addition, the songs with a developed and integral sax solo are a real treat. The Answer, Eyes of the Stranger, and the quite awesome ballad, Everything Changes deliver some of the best. Then there are the songs where the sax does not weigh in at all, and they are still terrific like the genuine rock ballad Hold & Care and the metal-edged Welcome to Paradise. 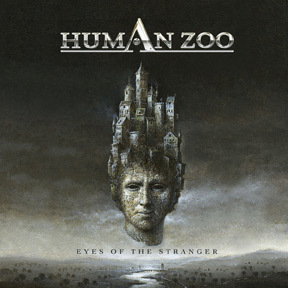 Once again, on Eyes of the Stranger, Human Zoo delivers great melodic hard rock, accented and made better by the inclusion of saxophone. Sax and rock: what could be better? Very recommended.